Wells Fargo Investment Institute combines teams from a broad range of backgrounds to help financial professionals build and implement plans that are appropriate for their clients. As part of specialized investment teams gathered under one umbrella, our strategists and analysts provide viewpoints on current market conditions, regular publications to help investors build their financial acumen and offer periodical client calls to interact with strategists. In support of your financial professional, Wells Fargo Investment Institute is a resource for information and strategies to build a plan designed to help you succeed financially. Peter Donisanu is an investment strategy analyst for Wells Fargo Investment Institute, a subsidiary of Wells Fargo Bank N.A., which is focused on delivering the highest quality investment expertise and advice to help investors manage risk and succeed financially. Wells Fargo Investment Institute serves clients of Wealth and Investment Management, a division of Wells Fargo comprised of Wells Fargo Private Bank, Wells Fargo Advisors, Wells Fargo Institutional Retirement, and Abbot Downing businesses. In his current role, Mr. Donisanu follows international trends in economics and politics and writes about their implications for international financial markets. His work has been quoted in print media, including outlets such as the Wall Street Journal, the Financial Times, Barron’s and Reuters. He has also been featured in television and radio interviews on Bloomberg, CNBC, and the Canadian Business News Network. Mr. Donisanu is also presents his views via speaking engagements to investment professionals. He has worked in the financial services industry since 2001. 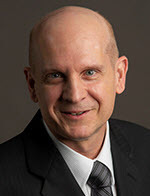 Mr. Donisanu earned a Bachelor of Science in Business from Western Governors University and a Masters of Business Administration with an emphasis in Finance from City University of Seattle. He is located in St. Louis. Craig Holke is an investment strategy analyst for Wells Fargo Investment Institute, a subsidiary of Wells Fargo Bank, N.A., which is focused on delivering the highest quality investment expertise and advice to help investors manage risk and succeed financially. Wells Fargo Investment Institute serves clients of Wells Fargo Wealth and Investment Management, a division of Wells Fargo comprised of Wells Fargo Private Bank, Wells Fargo Advisors, Wells Fargo Institutional Retirement & Trust, and Abbot Downing businesses. Mr. Holke covers the global investment environment, with specific emphasis on how the global macroeconomic environment affects various asset classes. Prior to his current position, he covered fixed income investments in Global Manager Research and worked in the fixed income department of the Capital Markets Trading group at Wells Fargo Advisors. Mr. Holke earned a Master in Business Administration from Washington University in St. Louis, and Bachelor of Science in Business Administration from St. Louis University. He is located in St. Louis, Missouri. 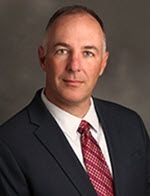 Scott Wren is a senior global equity strategist for Wells Fargo Investment Institute, a subsidiary of Wells Fargo Bank, N.A., which is focused on delivering the highest quality investment expertise and advice to help investors manage risk and succeed financially. Wells Fargo Investment Institute serves clients of Wealth and Investment Management, a division of Wells Fargo & Company comprised of Wells Fargo Private Bank, Wells Fargo Advisors, Wells Fargo Institutional Retirement & Trust, and Abbot Downing businesses. Mr. Wren produces strategy and guidance recommendations for global equities. With his knowledge of the financial markets, he is often quoted in national media outlets including Reuters, The Chicago Tribune, The Los Angeles Times, The Washington Post, The Associated Press, and The Wall Street Journal. He has appeared in interviews on Bloomberg Television, the Fox Business Network, and CNBC’s “Nightly Business Report.” Prior to joining Wells Fargo Advisors predecessor A.G. Edwards in 1998, Mr. Wren worked as a senior foreign exchange dealer for The Boatmen’s National Bank of St. Louis. He began his career on the trading floor of the Chicago Mercantile Exchange and has more than 30 years of experience in financial services. He received a Bachelor of Science in Business Administration from the University of Kansas and a Master of Finance from Saint Louis University. He is located in St. Louis. Tracie McMillion is the head of global asset allocation strategy for Wells Fargo Investment Institute, a subsidiary of Wells Fargo Bank, N.A., which is focused on delivering the highest quality investment expertise and advice to help investors manage risk and succeed financially. Wells Fargo Investment Institute serves clients of Wealth and Investment Management, a division of Wells Fargo & Company comprised of Wells Fargo Private Bank, Wells Fargo Advisors, Wells Fargo Institutional Retirement & Trust, and Abbot Downing businesses. In her current role, Ms. McMillion leads the development of global investment strategy. She oversees the creation of asset allocation recommendations and writes economic and market commentary and analysis. Ms. McMillion has been quoted in The Wall Street Journal and Barron’s, on CNBC, and in other financial media outlets. 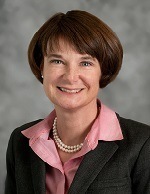 Ms. McMillion has more than 20 years of experience in financial services. 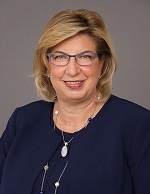 Prior to her current role, she served as an asset allocation strategist and a senior investment research analyst for Wells Fargo and predecessor firms. Earlier in her career, she served as lead portfolio manager for Evergreen Private Asset Management where she managed assets for high-net-worth clients and philanthropic organizations. Tracie earned a Bachelor of Arts in Economics and a Master of Business Administration from the College of William and Mary in Virginia. She is a CFA® charterholder and member of the CFA North Carolina Society. Ms. McMillion is located in Winston-Salem, North Carolina. Chris Haverland is a global asset allocation strategist for Wells Fargo Investment Institute, a subsidiary of Wells Fargo Bank, N.A., which is focused on delivering the highest quality investment expertise and advice to help investors manage risk and succeed financially. Wells Fargo Investment Institute serves clients of Wealth and Investment Management, a division of Wells Fargo comprised of Wells Fargo Private Bank, Wells Fargo Advisors, Wells Fargo Institutional Retirement & Trust, and Abbot Downing businesses. Mr. Haverland is responsible for thought leadership on the economy, financial markets, investment strategy, and asset allocation. He researches timely investment topics and produces market updates, special reports, white papers, podcasts, and webcasts that articulate strategies for clients to help them meet their long-term financial goals. Other responsibilities include developing capital market assumptions and strategic asset allocations, providing tactical advice, conducting asset class research, assisting in portfolio management, writing commentary for investment publications, and providing investment guidance for financial advisors and clients. 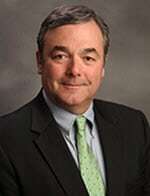 Prior to joining Wells Fargo, Mr. Haverland was a portfolio manager, corporate bond analyst and trader at Jefferson Pilot Financial (now part of Lincoln Financial) in Greensboro, North Carolina, where he managed $2.6 billion in fixed income assets. He has 20 years of experience in financial services. Mr. Haverland earned a Masters of Business Administration from Elon University and a Bachelor of Science in Business Administration from Appalachian State University. He is a CFA® charterholder and is a member of the CFA North Carolina Society. Mr. Haverland is located in Winston-Salem, North Carolina. 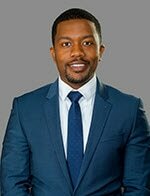 Michael Taylor is an investment strategy analyst for Wells Fargo Investment Institute, a subsidiary of Wells Fargo Bank, N.A., which is focused on delivering the highest quality investment expertise and advice to help investors manage risk and succeed financially. Wells Fargo Investment Institute serves clients of Wealth and Investment Management, a division of Wells Fargo comprised of Wells Fargo Private Bank, Wells Fargo Advisors, Wells Fargo Institutional Retirement, and Abbot Downing businesses. 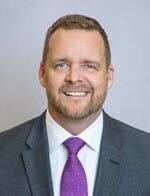 In his current role, Mr. Taylor focuses on global asset allocation strategy and economic and market analysis. His work contributes to Wells Fargo Investment Institute publications. Mr. Taylor has more than 20 years of experience in financial services and has spent the past 16 years at Wells Fargo in various roles within wealth and brokerage. Mr. Taylor earned a Bachelor of Science in Chemistry from the University of Minnesota Institute of Technology, a Bachelor of Arts in Chinese and a Bachelor of Arts in Russian both from the University of Minnesota College of Liberal Arts, and a Master of Business Administration from the University of Minnesota Carlson School of Management. During his undergraduate and graduate coursework, he studied at Nankai University in Tianjin and Cheung Kong Graduate School of Business in Shanghai. Mr. Taylor is a CFA® charterholder and member of the CFA® Minnesota Society and is based in Houston. Veronica Willis is an investment strategy analyst for Wells Fargo Investment Institute, a subsidiary of Wells Fargo Bank, N.A., which is focused on delivering the highest quality investment expertise and advice to help investors manage risk and succeed financially. Wells Fargo Investment Institute serves clients of Wealth and Investment Management, a division of Wells Fargo & Company comprised of Wells Fargo Private Bank, Wells Fargo Advisors, Wells Fargo Institutional Retirement & Trust, and Abbot Downing businesses. In her role, Ms. Willis assists in research and development of asset allocation recommendations and analysis of the economy and financial markets. Prior to her current role, she served as a research analyst for strategy around developed and emerging countries, commodities, and currencies. She began her career at Wells Fargo in 2012 and is an active member of several team member networks including the Wells Fargo New Professionals Network, Women’s Team Member Network, and Black/African American Connection. 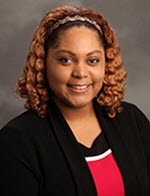 Ms. Willis earned a Bachelor of Arts in Mathematics with a concentration in Statistics and a Bachelor of Arts in Spanish with a minor in Economics from Washington University in St. Louis. She is based in St. Louis. Mark Litzerman is the head of Global Portfolio Management for Wells Fargo Investment Institute (WFII), a subsidiary of Wells Fargo Bank, N.A., which is focused on delivering the highest quality investment expertise and advice to help investors manage risk and succeed financially. WFII serves clients of Wealth and Investment Management, a division of Wells Fargo & Company comprised of Wells Fargo Private Bank, Wells Fargo Advisors, Wells Fargo Institutional Retirement & Trust, and Abbot Downing businesses. In his role, Mr. Litzerman is responsible for leading Global Portfolio Management, a centralized investment portfolio management team comprised of nine portfolio managers and analysts. Mr. Litzerman and his team leverage research and guidance from WFII’s Global Investment Strategy, Global Alternative Investments, and Global Manager Research teams to build and advise on WFII’s recommended portfolios. 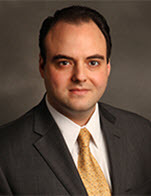 With his knowledge of investment strategy, Mr. Litzerman has been quoted in various media outlets. 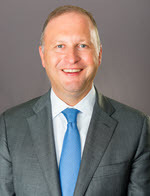 Previously, Mr. Litzerman was the co-head of Real Asset Strategy for WFII, and was part of the leadership team that developed strategic and tactical asset allocation recommendations and market commentary for real assets, which includes real estate investment trusts (REITs) and master limited partnerships (MLPs). He was also responsible for global equities, with specific responsibility for small and mid-cap U.S. stocks. 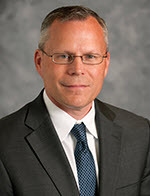 Prior to joining Wells Fargo in 2006, Mr. Litzerman served in a variety of investment strategy positions including director of research and chief investment officer for Hale & Dorr Capital Management, portfolio management team leader for Mellon Private Asset Management, and director of equities for First NH Investment Services. He has more than 3o years of experience in financial services. Mr. Litzerman earned a Bachelor of Arts in Communications from Purdue University, a Master of Business Administration in Finance from the University of New Hampshire, and is a CFA® charterholder. He is based in Charlotte, North Carolina. 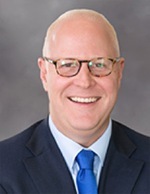 Brian Rehling is the co-head of global fixed-income strategy for Wells Fargo Investment Institute, a subsidiary of Wells Fargo Bank, N.A., which is focused on delivering the highest quality investment expertise and advice to help investors manage risk and succeed financially. Wells Fargo Investment Institute serves clients of Wealth and Investment Management, a division of Wells Fargo & Company comprised of Wells Fargo Private Bank, Wells Fargo Advisors, Wells Fargo Institutional Retirement & Trust, and Abbot Downing businesses. In his role, Mr. Rehling focuses on global fixed-income asset allocation, strategy guidance, and the interest rate outlook. 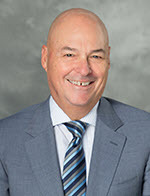 He maintains a strong connection to the more than 15,000 Wells Fargo Advisors, Wells Fargo Private Bank, and Abbot Downing advisors through in-depth bond market publications and speaking engagements for a wide range of retail and institutional clients. Mr. Rehling is frequently quoted in national media outlets including The Wall Street Journal, The New York Times, Barron’s, Bloomberg Television, Fox Business Network, CNBC, CNN Money, and MarketWatch. Mr. Rehling has extensive investment strategy experience and has spent more than 17 years in leadership roles at Wells Fargo Advisors and predecessor firms working with retail, high-net-worth, ultra-high-net-worth, and institutional clients. He earned a Bachelor of Science in Business Administration with a focus in Finance from the University of Missouri and is a CFA® charterholder. Mr. Rehling is based in St. Louis. 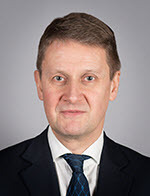 George E. Rusnak is the co-head of global fixed-income strategy for Wells Fargo Investment Institute, a subsidiary of Wells Fargo Bank N.A., which is focused on delivering the highest quality investment expertise and advice to help investors manage risk and succeed financially. Wells Fargo Investment Institute serves clients of Wealth and Investment Management, a division of Wells Fargo & Company comprised of Wells Fargo Private Bank, Wells Fargo Advisors, Wells Fargo Institutional Retirement, and Abbot Downing businesses, accounting for more than $1.8 trillion* in assets under administration. Mr. Rusnak develops fixed-income investment strategy and guidance as part of the overall investment allocation recommendations for Wells Fargo Investment Institute and leads the fixed-income strategies team that delivers custom fixed-income solutions for high-net-worth individuals and smaller institutions. Mr. Rusnak has approximately 50 individuals on his team including fixed-income investment managers, research analysts, traders, risk, and marketing professionals. 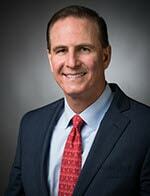 Prior to his current role, Mr. Rusnak held leadership positions at Evergreen Financial, BlackRock, and Merrill Lynch. He has more than 25 years of experience in financial services. Mr. Rusnak earned a Bachelor of Arts in Economics and a Master of Business Administration in Finance from Rutgers College. 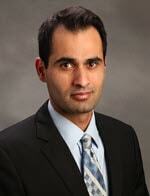 He is a CFA® charterholder and serves as a member of the Rutgers Financial Advisory Board. Mr. Rusnak is based in Princeton, New Jersey. 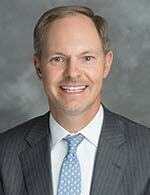 Adam I. Taback is the head of Global Alternative Investments (GAI), a division of Wells Fargo Investment Institute. Wells Fargo Investment Institute, a subsidiary of Wells Fargo Bank, N.A., which is focused on delivering the highest quality investment expertise and advice to help investors manage risk and succeed financially. Mr. Taback leads the GAI team that manages proprietary and non-proprietary alternative investment products and services—including option strategies, hedge funds, managed futures, commodities, private equity, and private real estate offerings—that complement traditional investment portfolios. In his current role, Mr. Taback serves as the president and chairman of the boards of trustees/managers for the GAI Registered Funds and the president and director of Global Alternative Investment Services, Inc. Previously, he was the director and president of A.G. Edwards Capital, Inc. In addition to serving as head of GAI, Mr. Taback serves as the deputy chief investment officer for Wells Fargo Private Bank. 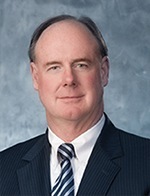 In this capacity, he oversees the Portfolio Services Group, which manages client investment portfolios in excess of $30 billion, the Managed Disciplined Strategies Group responsible for portfolio overlay management and implementation, and the Equity Optimization Team that manages after-tax overlay management and equity portfolio transition accounts for high-net-worth clients. Mr. Taback also manages the teams responsible for all desktop tools and applications used by The Private Bank investment professionals, data analytics, and performance reporting and attribution. *Data as of June 30, 2016. Global Investment Strategy (“GIS”), Global Manager Research (“GMR”), Global Alternative Investments (“GAI”) and Global Portfolio Management (“GPM”) are divisions of Wells Fargo Investment Institute, Inc. (“WFII”). The information contained herein constitutes general information and is not directed to, designed for, or individually tailored to, any particular investor or potential investor.